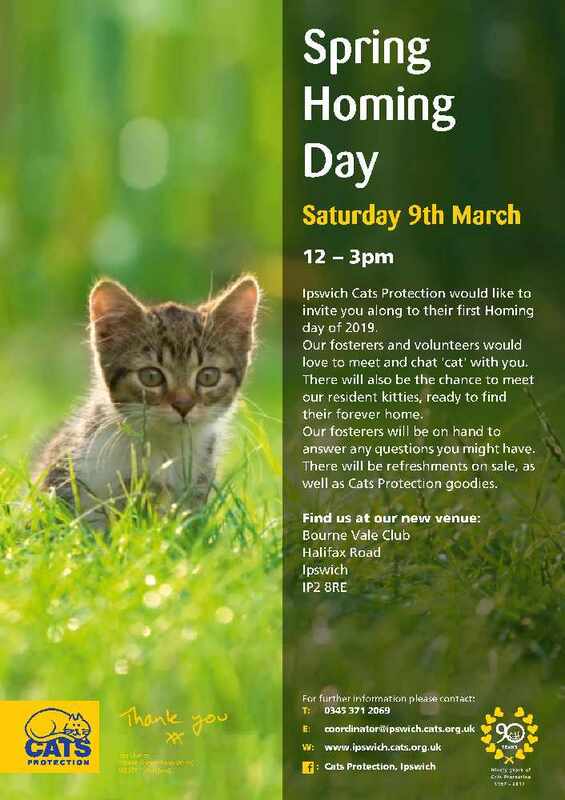 SPRING HOMING DAY : You are invited to join us at Bourne Vale Club on Halifax Road (IP2 8RE www.bournevale.com/directions/) on the 9th March from noon, for our Spring Homing Day. It is an opportunity to come along and support the work of the Ipswich Cats Protection branch, chat 'cat' with our team of volunteers as well as enjoying a cuppa and cake. All funds raised go towards helping us support the welfare of kitties in our area.